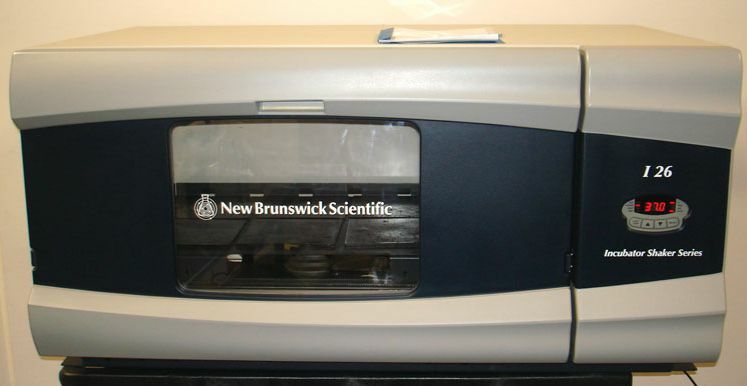 Description: Stackable incubator shaker. Platform: 30" X 18". Speed: 25-400 with a 1" orbit. Temperature Range: 5 degrees above ambient to 60 degrees. Overall dimensions: 50" W x 30" D x 37" H. With door open, add 19.5" to depth. Unit comes fully refurbished and supplied with platform.